IoT has enabled users to access control over a multitude of “smart” devices while also unlocking unlimited possibilities for operators in new markets, such as farming, utilities and transportation. A Gartner study claimed that by 2020 there will be around 26 billion IoT connected devices. Imagine the data they collect and the necessary technology required to process it. Until recently, cloud computing was the answer for storing and processing data collections from IoT applications. However, despite being a cost-effective model in appearance, the handling data in a centralized cloud site is facing new capacity, data management and security challenges. Analysts at Gartner have also raised the alarm on the inefficiency, from both a technical and economical standpoint, of sending all of the gathered data to a single site for processing. Fog Computing is a new technical solution that allows data to be aggregated in larger number of smaller remote data centers for the initial analysis, and only afterwards sent for storage into the cloud. The term “Fog Computing” is recent and refers to a technology that is an extension of cloud computing. It’s main characteristics are: the geographical distribution of a large number of processing nodes (application servers), its extended mobility, a low latency and location recognition, wireless access and the predominance of real-time applications. Fog Computing is a virtualized layer between the IoT devices and the conventional data centers in the cloud, that delivers processing, networking and storage services. It is also known as edge computing, because it is usually located at the edge of the network. It allows for a new set of applications and services solely dedicated to routing, managing and analyzing IoT data, relieving data centers from processing and storing the large volume of measurements collected from IoT devices and sensors. 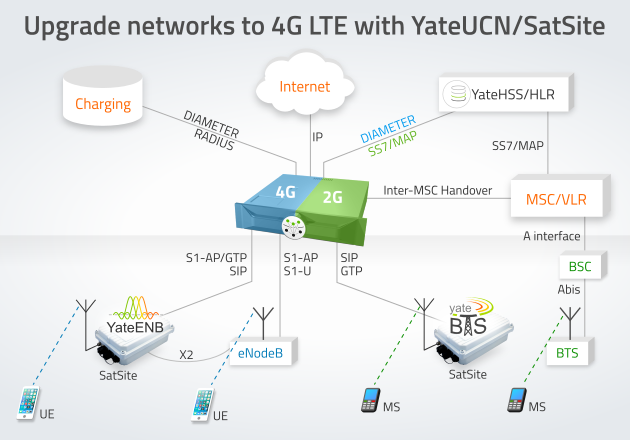 This is where our SDMN YateBTS-powered solution responds to the current needs of IoT data management. 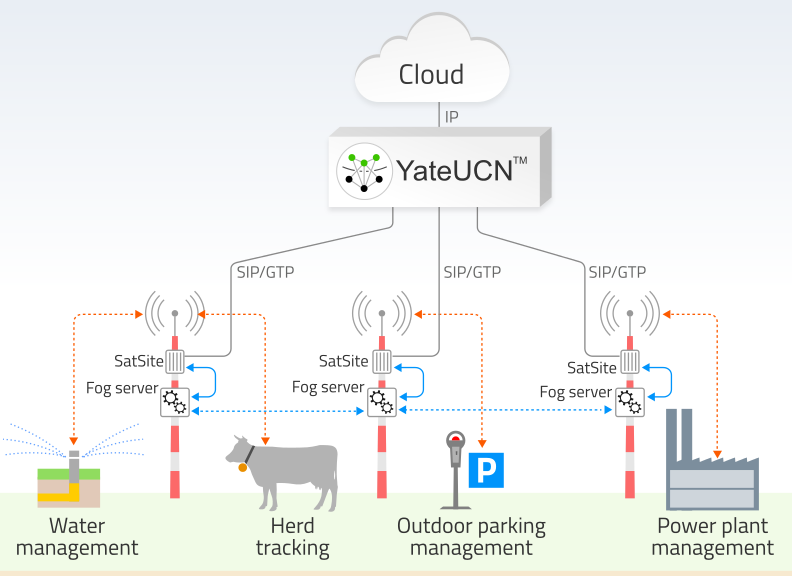 To deploy a fully functional Fog Computing ecosystem, operators can install scalable application servers distributed in each cell site for data analysis and monitoring, without the traffic cluttering the core network. They are geographically distributed and connect to each other to perform a “close to the ground” intermediary layer between IoT devices and the cloud, providing security, low latency and high resilience. 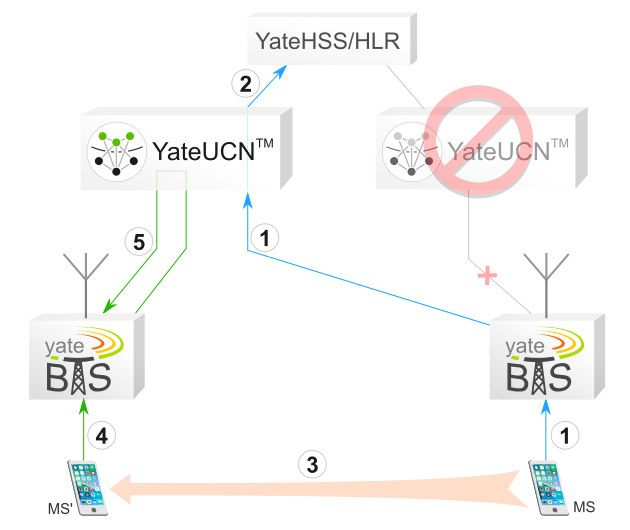 SatSite base stations can redirect the traffic locally to the application server, based on the IMSI specific to the device. geographical distribution – Fog Computing nodes in application servers are located in each cell site and cover a wide portion of the field. Our simplified mobile network architecture allows an easy deployment of Fog platforms to deliver real-time analytics, localization services and resilient applications. It reduces the processing burden in cloud data centers without overcharging the core network, making it ideal solution for IoT networks. 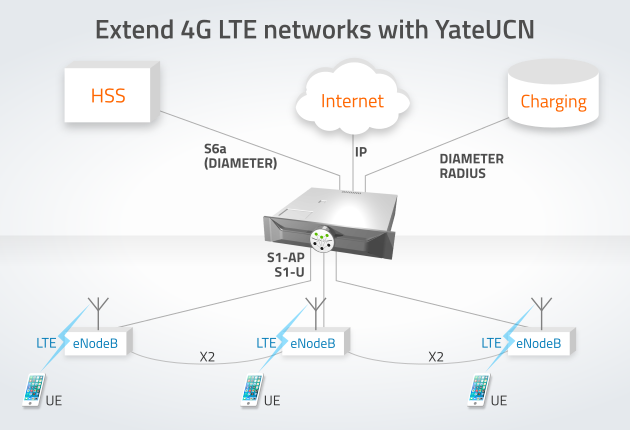 The expansion of 4G LTE challenges operators who have limited spectrum; as some decide to take down existing 2G (and even 3G) deployments in favor of 4G, bandwidth allocation in an area must be carefully planned to match the quality requirements of LTE. In 4G LTE, spectrum is a crucial resource. 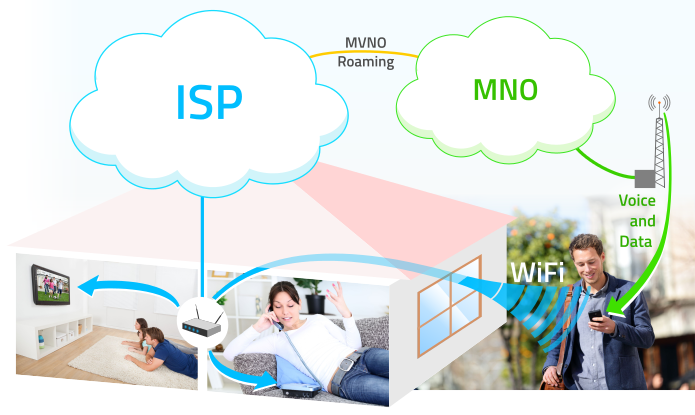 Performance is dependent on the proximity between the radio network and the devices. The closer the radio tower, the higher the data throughput. This means that the more cell towers operators build, the better they can cover the area. Frequency reuse is a widely adopted solution for LTE; essentially, a given area is served by more cell towers using the same frequency. 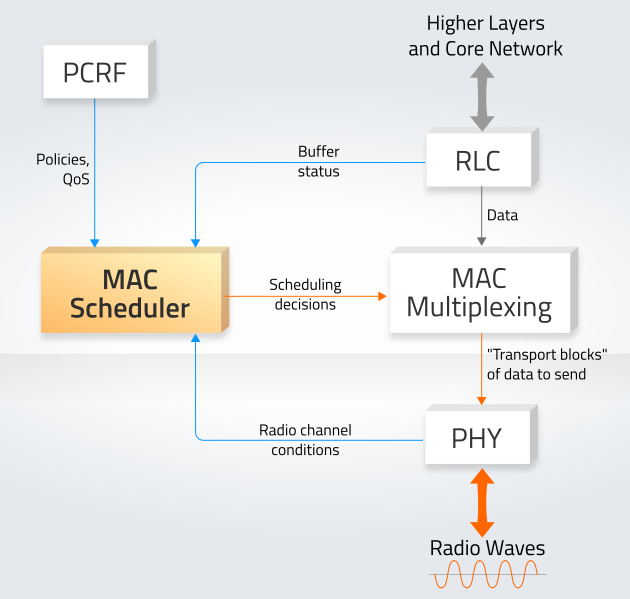 An easier and more efficient approach to this is software-defined radio. Frequency reuse means splitting an area in several new, smaller cells. 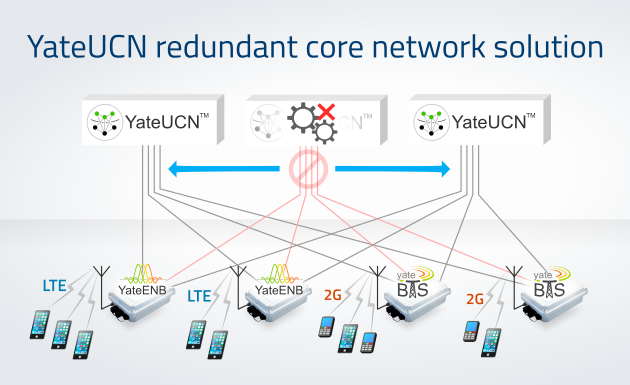 In LTE, to maintain a high throughput, the same frequency is allocated to all the new cells, at the expense of higher interference at the cell edges. Since all the new cells have equal power, two or more cells meeting causes interference around the cells edges. Apart from that, building and maintaining additional infrastructure required by frequency reuse results in high capital and operational expenses. 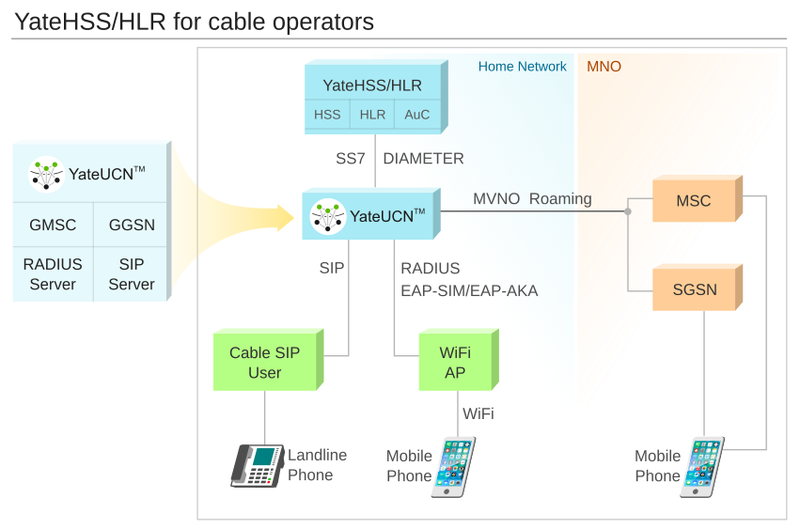 SDR in the LTE base station (eNodeB) can be a solution to these limitations. The fact that SDR implements the communication protocols in software and uses general-purpose hardware has several benefits. The most important one is the effect on infrastructure costs. Base stations built on special-purpose hardware need heavier equipment and hence larger towers, which are expensive to install and operate. An eNodeB using general purpose hardware relies on more lightweight equipment, meaning that smaller towers can be deployed more densely in an area and provide better coverage. 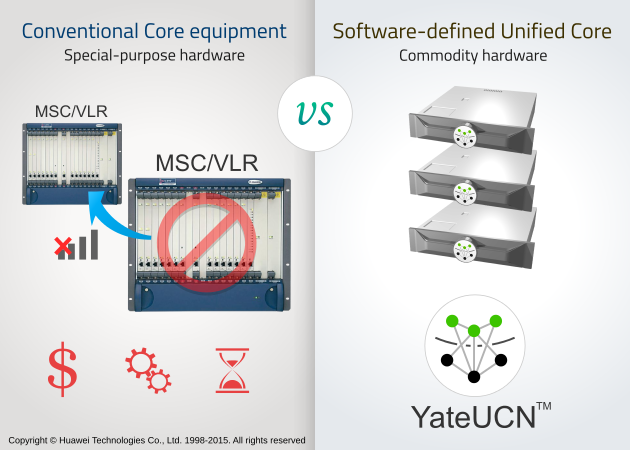 A lower power consumption associated with SDR-based BTS equipment also contributes to reducing the overall RAN costs. Another major benefit of SDR is flexibility. 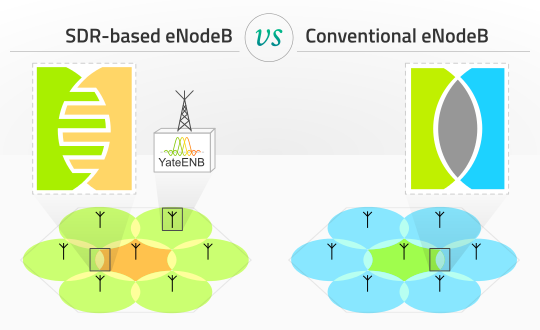 SDR-based eNodeBs can be configured more easily to manage spectrum use at the edges of the cells, and thus minimize interference. 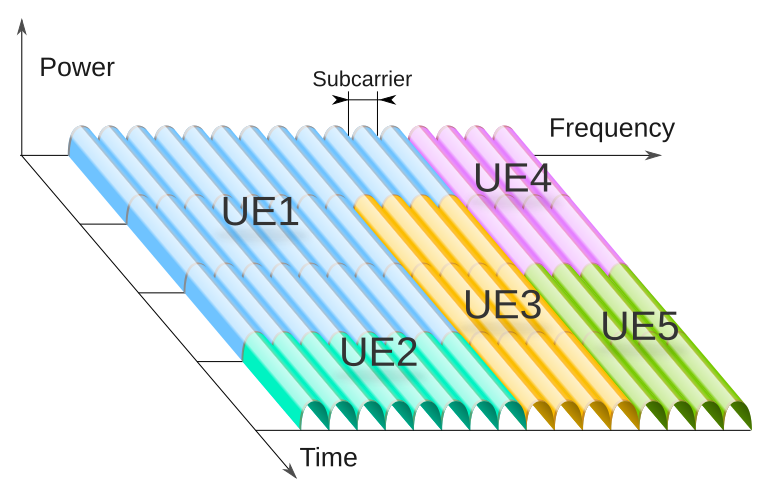 Frequency sub-carriers can be selected at two cell edges in such a way that they do not overlap as in the case of conventional systems. What’s more, SDR permits an ​adaptable power management so that different services can be assigned optimal QoS depending on the context. Another aspect of SDR is the ability to build mixed networks. Base station equipment can be programmed to support different technologies at the same time and using the same hardware, serving more users with virtually no infrastructure investment. You can read more about this topic in this previous blog post.